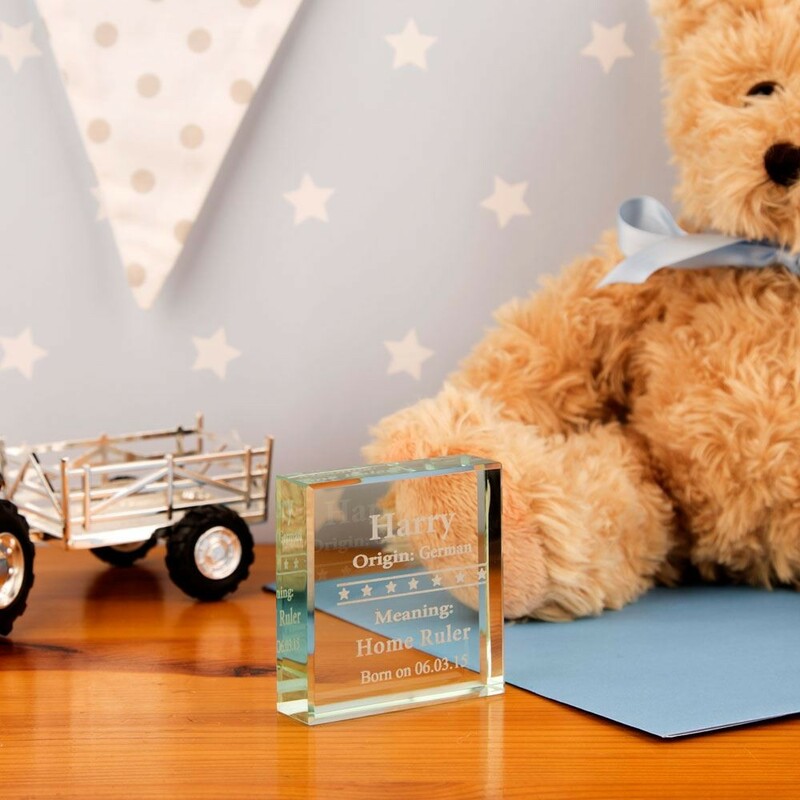 Why not get a new born baby a lovely keepsake gift to celebrate their special name. Each glass block is custom made for each little bundle of joy with their first name, name meaning and origin. The stars are in filled on the back of the design to make it look even more expensive. This unique gift is perfect for a new baby and would look lovely in the baby's room on top of a chest of drawers set or on a book shelf. It is well presented in a gift box so can be easily wrapped and posted to the recipient or kept away in its box when it is not in use.